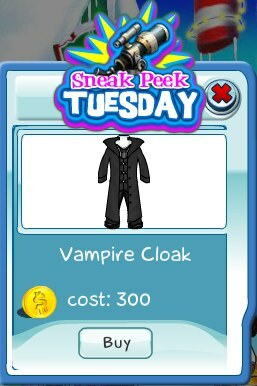 The Vampire Cloak outfit is this week's Sneak Peek Tuesday item. Now you can dress up in SecretBuilders just like a real vampire. The preview is only for today though!